For the past several years, Mount Isa School of the Air has been engaging in a community process of creating assessment literate learners in order to enable our teachers to prioritise the teaching of and learning of the Australian Curriculum. Drawing largely from evidence-based works by Fisher and Frey and Hattie, using the Gradual Release of Responsibility as a framework for teaching and learning, the school community have been working collegially towards a deep understanding of the assessment demands of the Curriculum into the classroom suite of materials. The Alignment Process extends from Prep to year 10, simultaneously developing three-tiers of stakeholders at the student, home tutor and teacher level. It involves critically examining the demands of the Australian Curriculum assessment artefacts against the methods and modes against which student evidence of learning is collected and goes hand-in-hand with creating active learners. 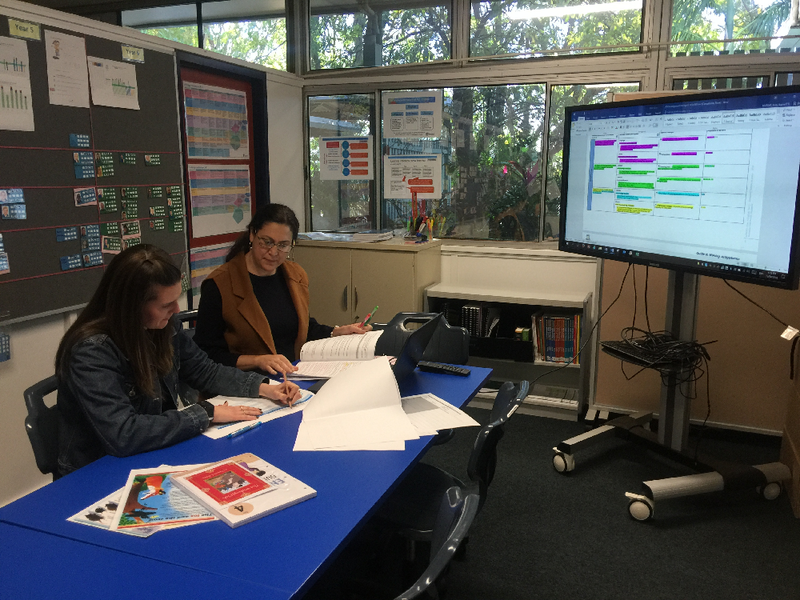 Involved in the process are school data targets, a dedicated working area for collaborative inquiry, affectionately known as the ‘Stockyard’ and continuous online and face-to-face sessions with home tutors developing their understanding of assessment demands. The process itself provides all stakeholders with responsibility of learning achievements – placing the highest value on the role of the Home Tutors as well as the Class/Subject Teacher at the same time as giving agency to all parties to actively engage in the learning process rather than being passive participants.